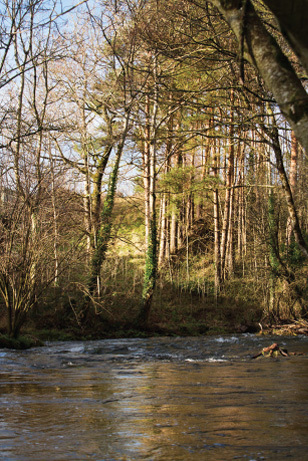 Experience the rich food and craft heritage of the Jerpoint area with our trail, which brings you up close with the producers and makers of some of Kilkenny’s iconic food and craft. view Jerpoint Glass’ enchanting glassblowing. 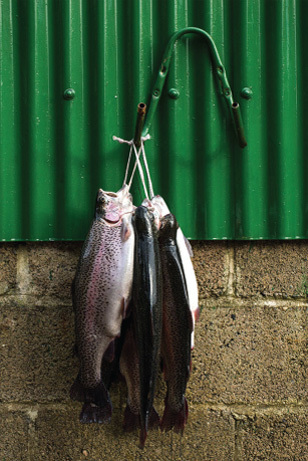 and explore the serene Goatsbridge Trout Farm and Smokehouse. Drive or cycle the very short distance between the producers, getting an insight and a flavour of their world at each stop. or from Knockdrinna in Stoneyford; the start of the tour (€1.25 each way). or Mount Juliet or Sol Bistro if you want to make an evening out of the trail. 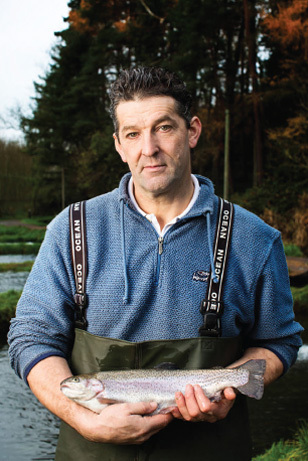 Goatsbridge has always been known as a supplier of high quality products. 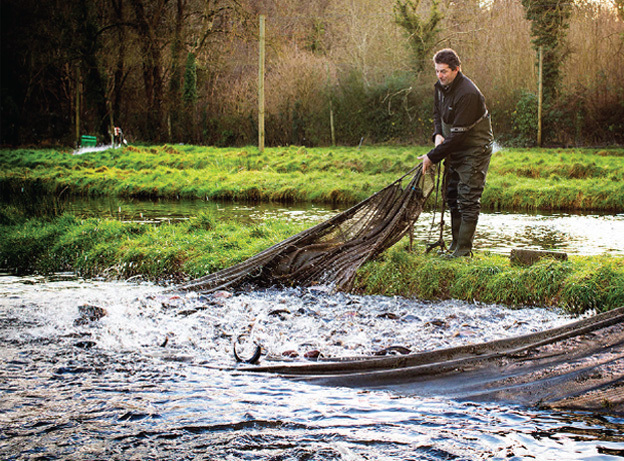 Now, we are giving you the chance to experience Goatsbridge in all of its natural beauty. 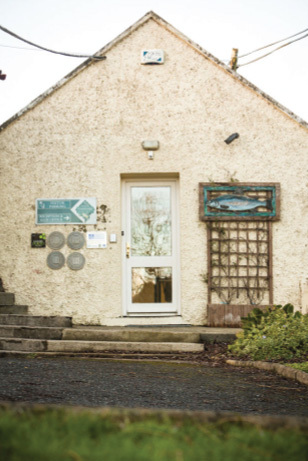 Our improved visitor centre complements this with a relaxed atmosphere to learn, eat or just chat. 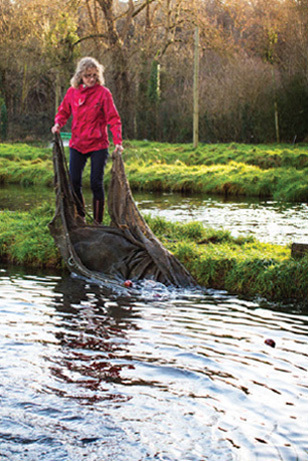 You now have the opportunity to see first-hand the product of a rich history while one of our guides reveals to you centuries of tradition and transformation at Goatsbridge Trout Farm. Our guided tour of the farm will not only take you on a trip through history, but will bring you on a journey – the journey from farm to fork. 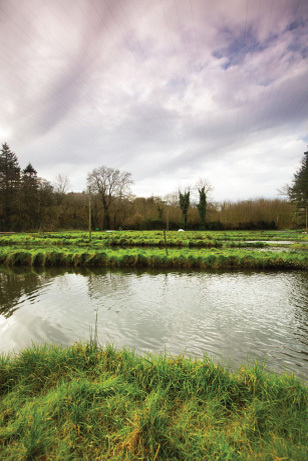 Our tours include a tasting of some of our beautiful products, including smoked trout paté and Ireland’s First Caviar, giving you an insight into the innovation that is ongoing in Goatsbridge. What makes the Goatsbridge experience unique is that we care – we are a small family business with a small team of dedicated staff who want you to love it here as much as we do. The experience is a wonderful one for anybody with an interest in food and where it comes from, or just looking for an outing with a difference. 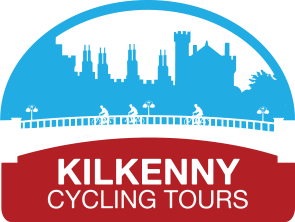 You can reach us by car or alternatively rent a bike, we’re only 2km from Thomastown and 12km from Kilkenny City, a beautiful trip on a nice day. 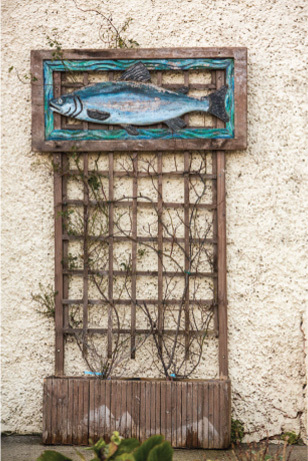 We are surrounded by heritage sites, artisan food producers and crafts workshops, making the area well worth a day trip.